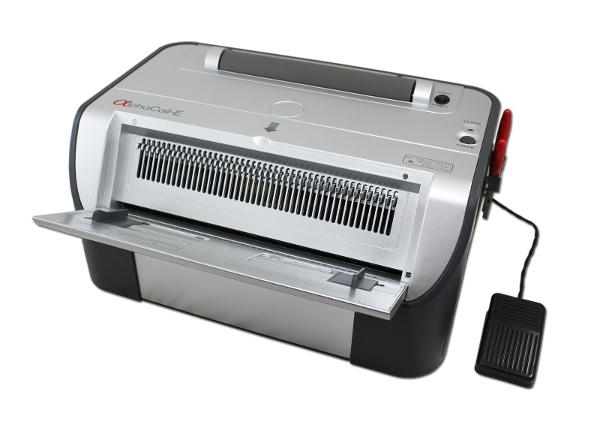 The Akiles AlphaCoil-E All-in-One Electric Coil Binding System is everything you need to beautifully coil bind documents in one sleek package. 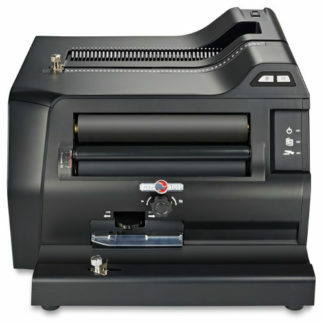 Featuring a powerful electric punch motor and inserter roller, the Akiles AlphaCoil-E does it all, so you don’t have to; that means less user fatigue and more productivity. 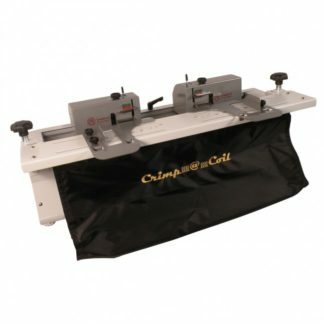 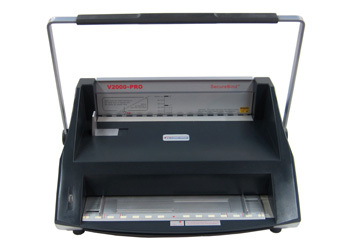 This all-in-one coil binding machine can punch up to 20 sheets at one time, and both the punch and the electric coil inserter are controlled by a foot pedal so you can keep your hands free for other things, like positioning your pages; a simple switch toggles between the punch and inserter modes. 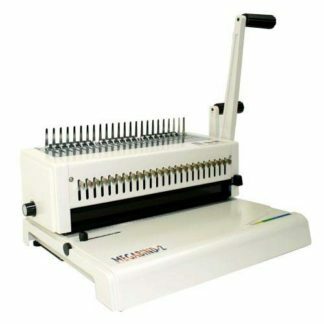 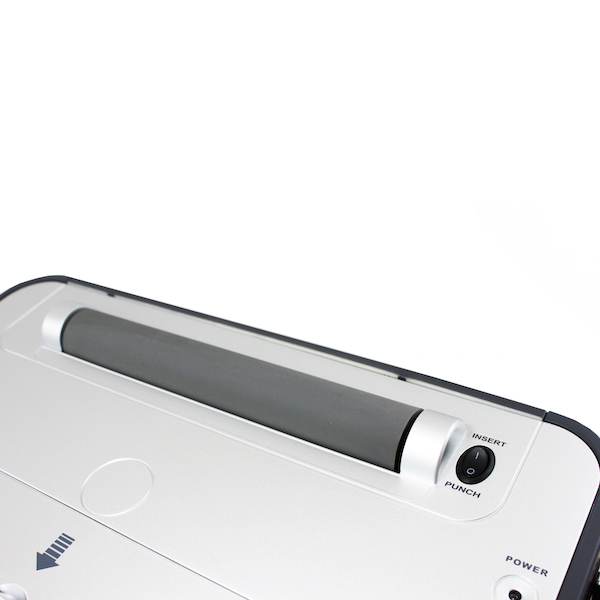 If you prefer, you can also engage the manual punch button and punch the pages without the help of the electric motor. 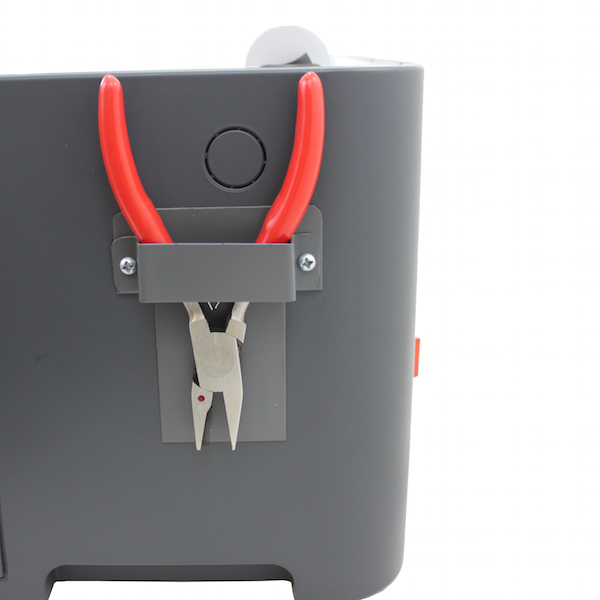 The Akiles AlphaCoil-E features 46 fully disengageable die pins, allowing completely customizable hole positioning. 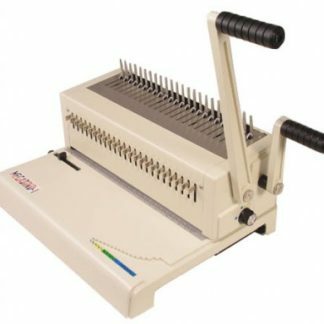 To finish off your document, you can use the premium crimper which is included with each machine. 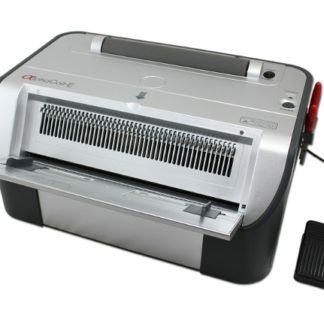 The Akiles AlphaCoil-E is everything you’ll need to coil bind your documents in one sleek package at one low price.